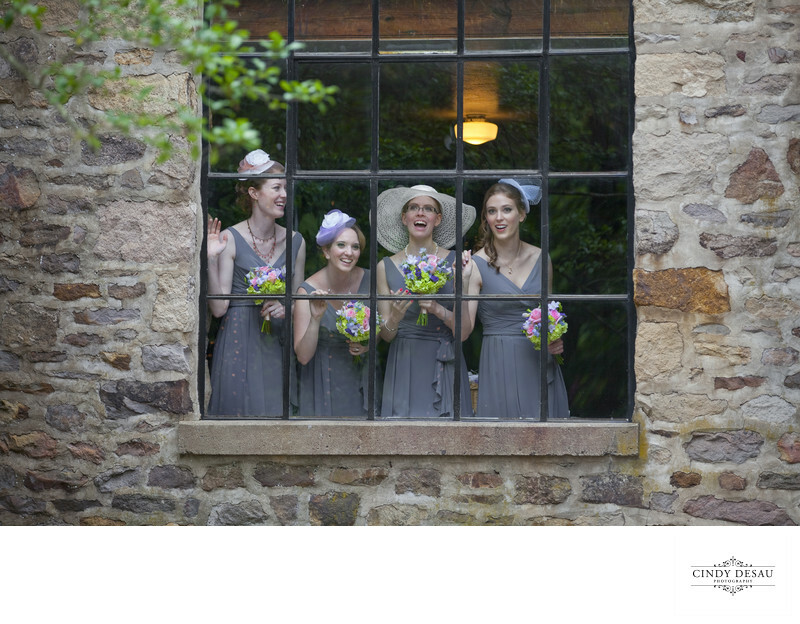 This image shows the bridesmaids watching the bride and groom have their wedding portraits taken in the courtyard at Holly Hedge Estate. I love their joyful expressions as they peer through the window. I know this is a close group who came together for this wedding day. The sense of camaraderie was striking, as all of the bridesmaids decided to wear hats in support of the one bridesmaid who had to for medical reasons.